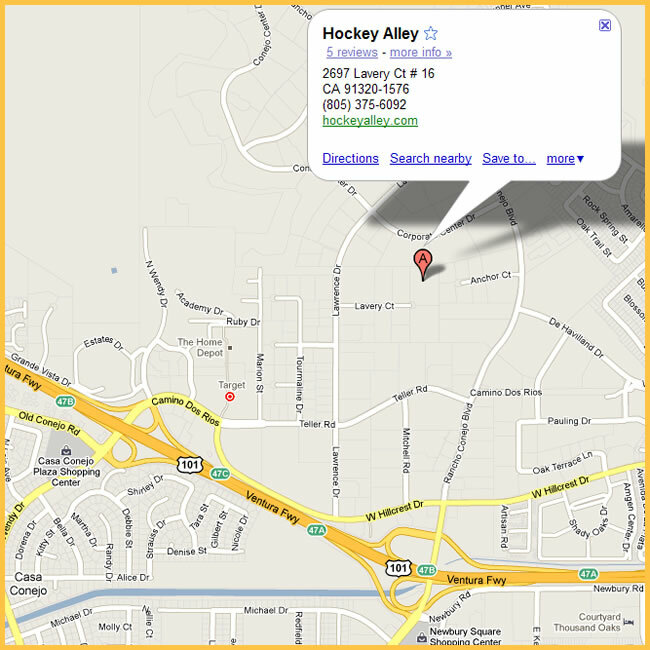 Hockey Alley™ is located in an industrial park area just a few blocks from Amgen Corporation. 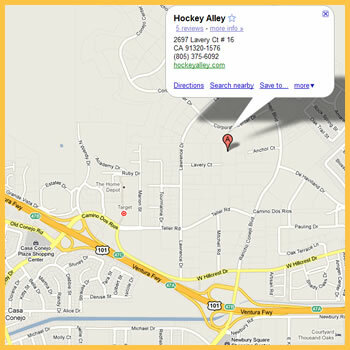 Enter the parking lot on the left side at the end of Lavery Ct. Hockey Alley is at the left end of the industrial unit property. 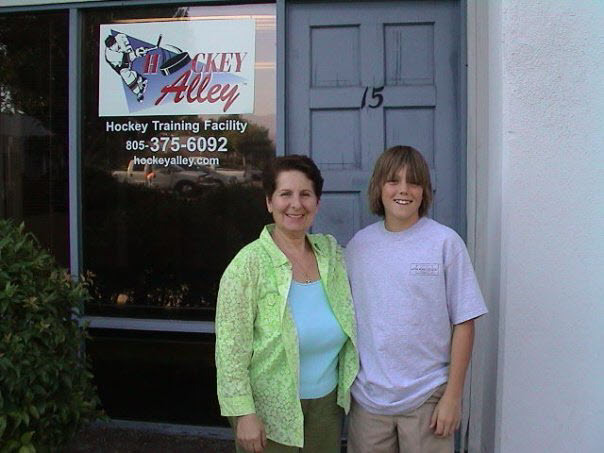 Send email to hockeyalley1@aol.com with questions or comments about this web site. Copyright © 2003-2019 Hockey Alley™ All rights reserved.